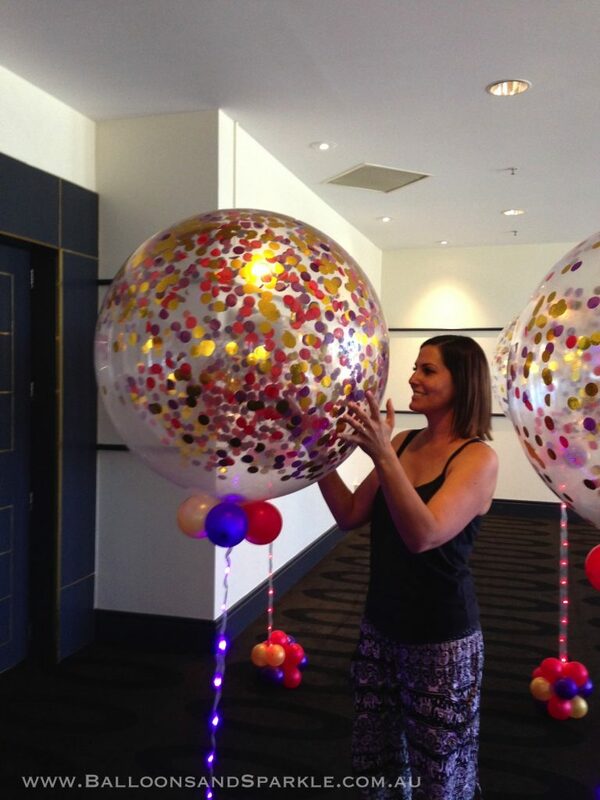 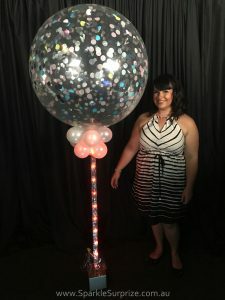 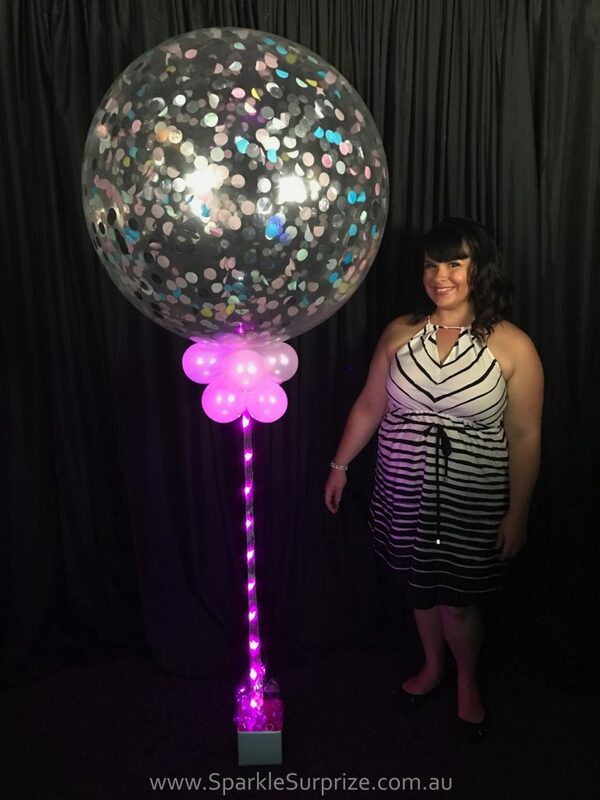 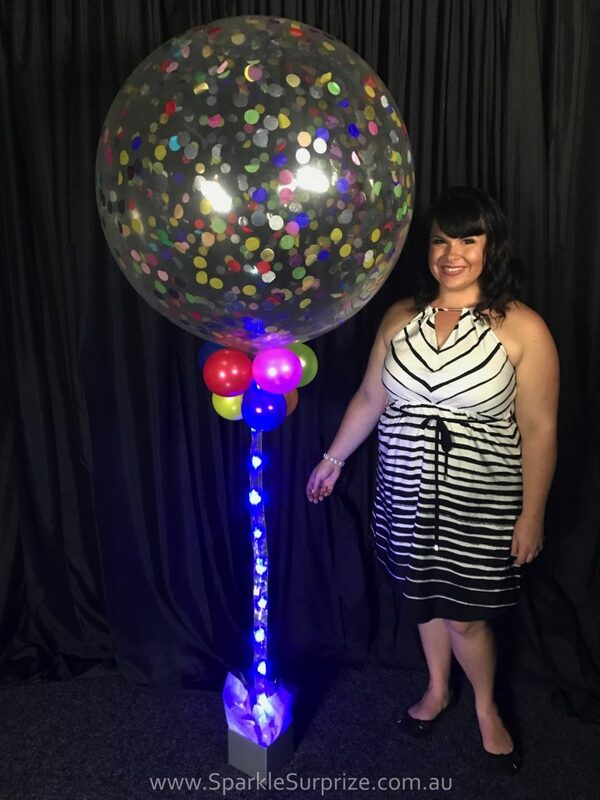 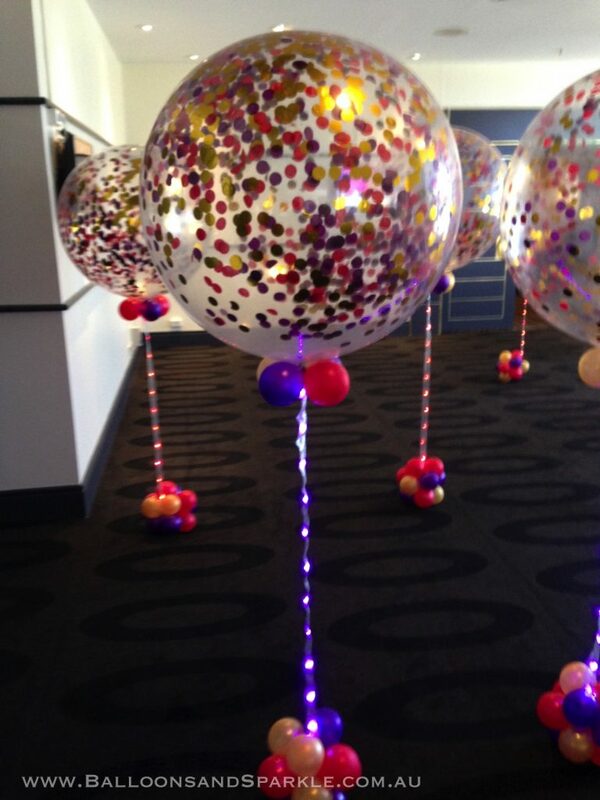 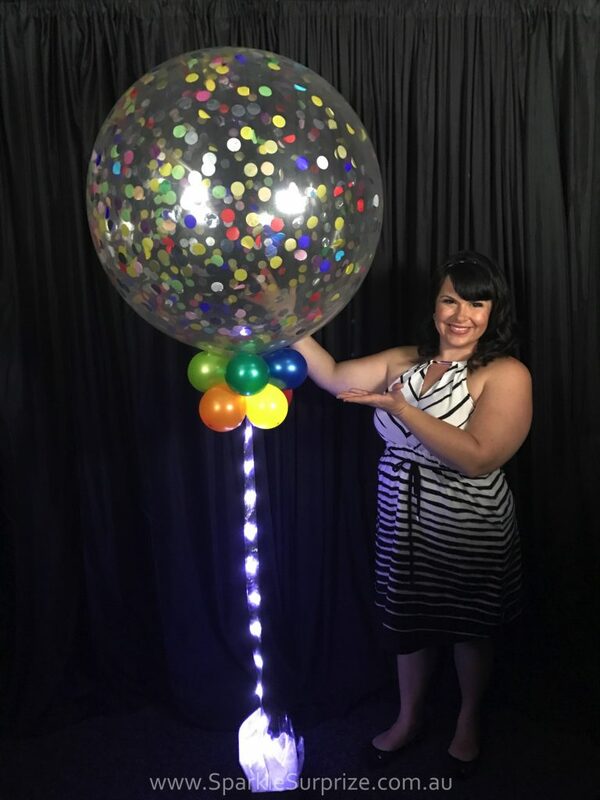 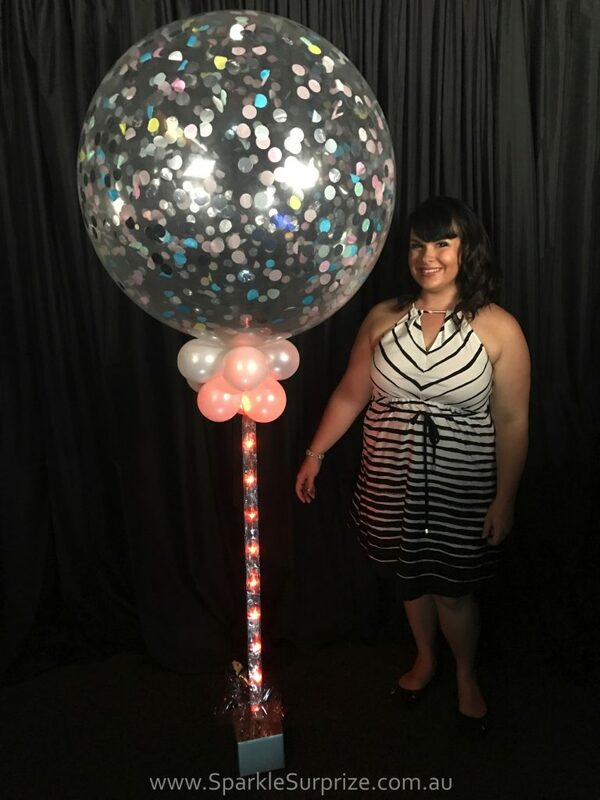 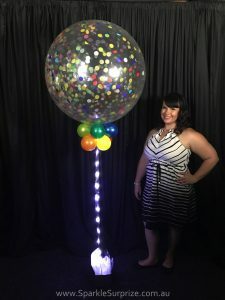 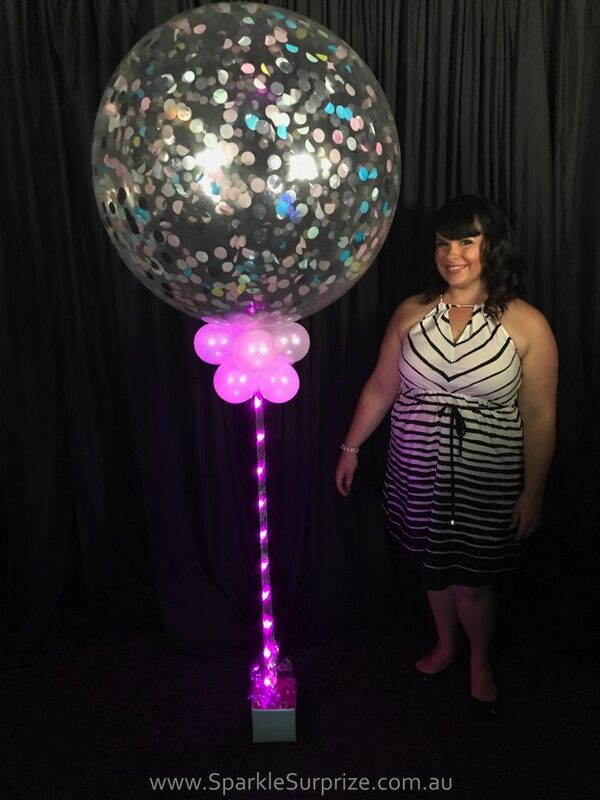 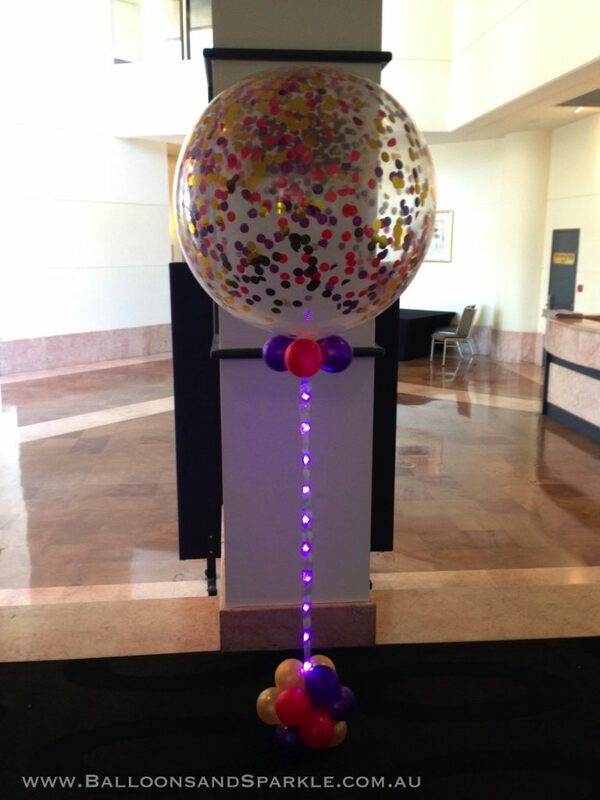 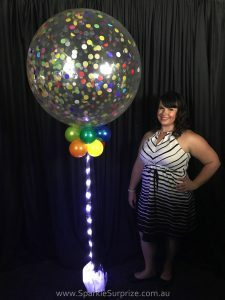 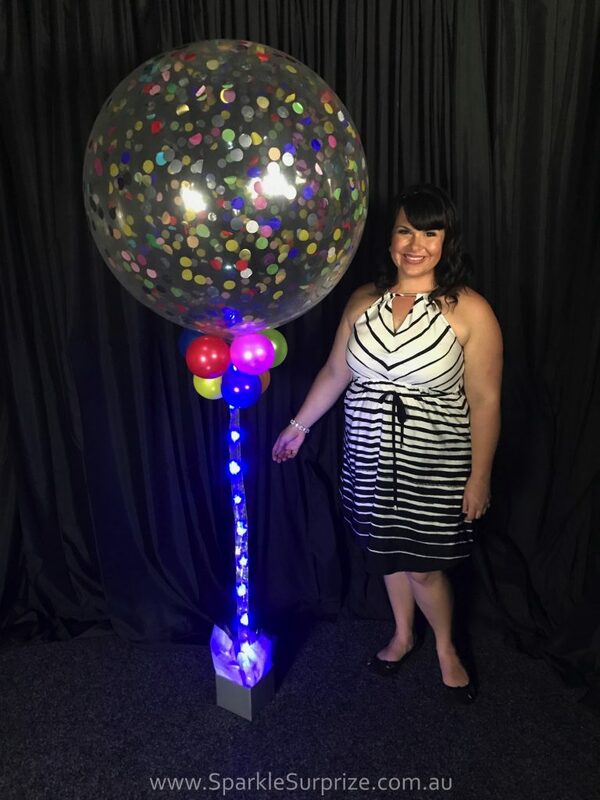 Jumbo Confetti Balloons with a stunning light up ribbon underneath, see the video below to find out more. 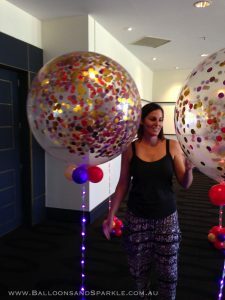 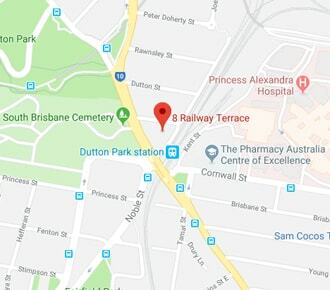 Scroll down to purchase, we deliver all over Brisbane and the Gold Coast, mornings, afternoons and evenings, to Workplaces, homes, Restaurants, functions for any and every occasion. 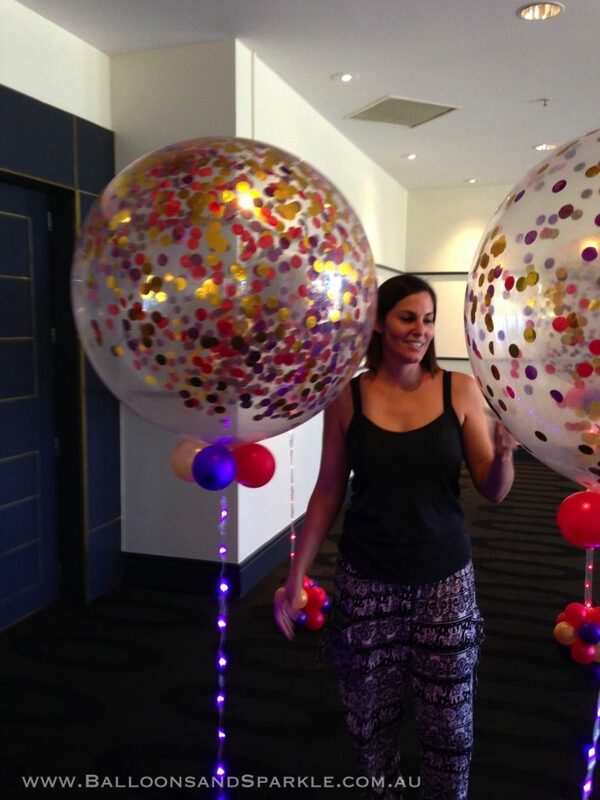 We can deliver Jumbo 90cm helium filled Sparkle Confetti Balloons for any occasion. 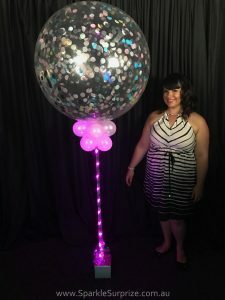 See below for a gallery of images of Sparkle Confetti Balloons on various coloured Ribbon Lites We will add more photos as we get the opportunity to photograph them. 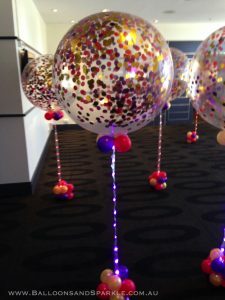 They stand over 7ft tall and light up !